A sister is someone who is born to create competition for you. Sometimes you think that it would have been better if you were the one and only child of your parents, but in the bottom of your heart, you know what her value in your life is. A sister is someone who suddenly starts to give you tuition when your grades were going down. At first you thought that she is doing so because she is worried about your grades, but after some days you get to know that she has been charging your dad 1,000 taka for the service. A sister is when you wake up in the middle of the night and tell her that you are feeling scared, and she puts her arm around you and helps you fall asleep again. In the end, a sister is someone with whom you are attached with even before you were born. Both of you were in the same womb before landing on earth. You can feel each other’s blues and bliss, and that needs no reason indeed. Yes, I never let her know that I do care for her, I feel for her. And I don’t wanna let her know that ever. 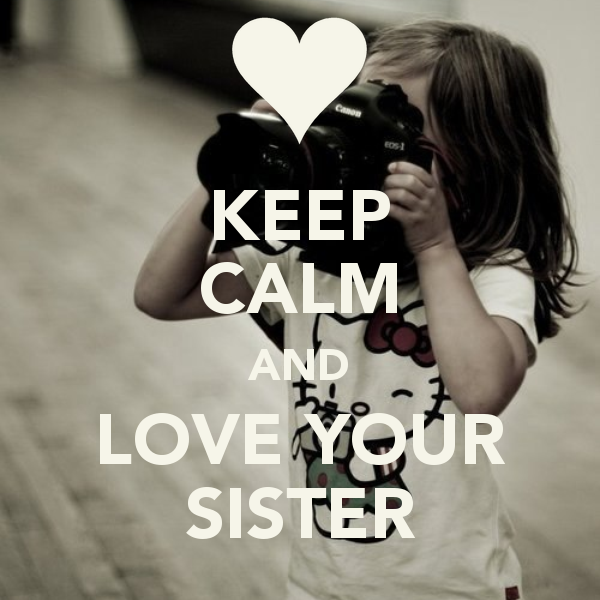 A sister is someone more special than words. She’s love mixed with friendship, the best things in life. Wah Wah !! Keya Sher Hain ! yeah! U can realize that better…………..